We believe in doing the job right the first time, which is why we guarantee the quality of materials and service we provide. 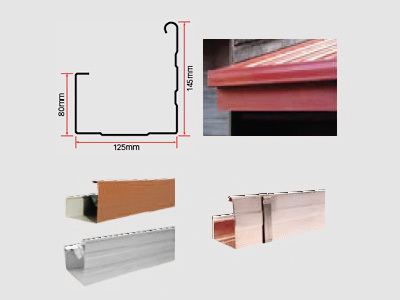 With a wide array of colours and styles to suit any home, our specialty lies in continuous copper and colorcote spouting and gutter systems for both new and existing buildings. Custom Fascia and Spouting have the skills and experience to install new spouting and gutters as well as make repair to existing systems. 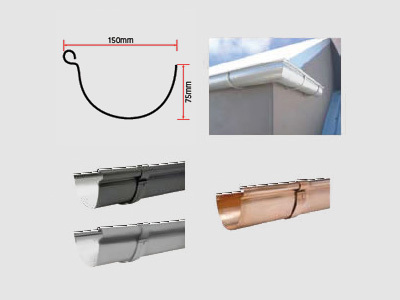 We are Auckkand’s leading supplier of both standard and custom-made rainwater products and all fascia, spouting and gutter installations are backed by our minimum 10 year warranty. For a FREE measure and quote, please contact us today. Need help deciding what spouting and gutter style to choose for your home? 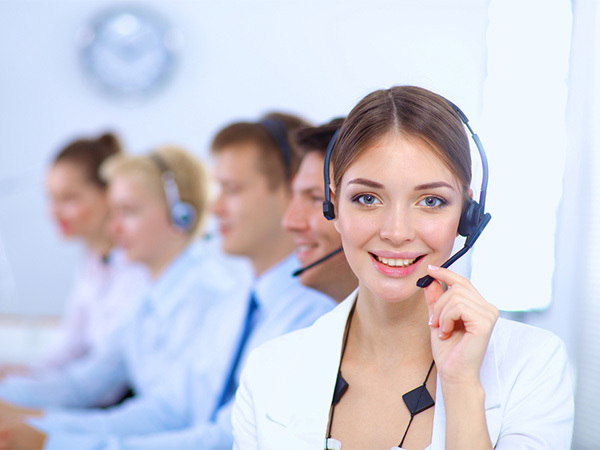 Contact us and our knowledgeable team would be happy to help. 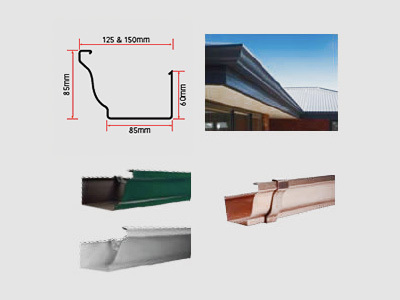 Gutter sizes are designed to perform where heavy rainfall may occur. A higher face prevents unsightly views of the end of the roofing sheet, particularly on higher ribbed profiles. Quarter Round Spouting maintains its traditional appeal, and provides simplicity and classic lines for use in most residential applications. 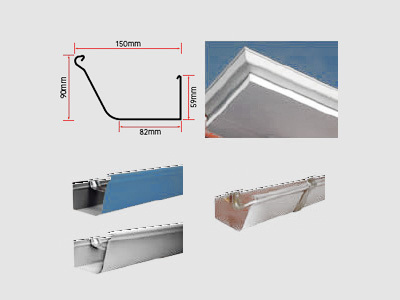 Supplied with internal or external brackets. Well proven and recognised as an aesthetically pleasing spouting product, the ½ Round will certainly enhance the overall appeal of your home. Old Gothic, which is available in two sizes, is reminiscent of the spouting types used on colonial homes. Old Gothic spouting is supplied with internal or external brackets. Get your FREE measure and quote! We guarantee our workmanship and our products with our minimum 10-year warranty. Call Today 0800 080 248. Thank you for your prompt attention to the gutter repair at my home and for getting Josh out to fix it. I really appreciate that you got it sorted out so quickly as I was worried about it until it was secured. We wish to report that we are very happy with the service and workmanship we received on the replacing of spouting on our house on Monday 26 March. Thanks for a great job, very professional, and understood what we wanted. Thank you. The new guttering looks very smart and tidy – thank you for what looks like a great job! I noticed your guys walking around yesterday looking everything over – was good to see people taking pride in their work, you don’t get that with just anybody. My wife says they were always very polite and considerate re using the driveway and even taking extra care when knocking on the door (we have young kids that sleep at random times). These little touches are noticed! Looking for Spouting and Gutter Services in Auckland?